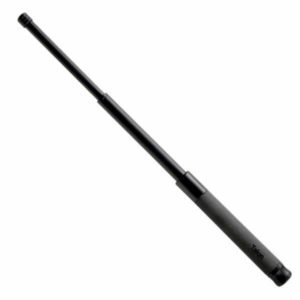 The ASP baton is the best baton that you can buy and we are an authorized dealer. Choose the compact models for concealed carry, the push button disc loc for easy expansion and closing or the traditional friction loc for less moving parts and simplicity! The ASP Baton is the most tactically sophisticated impact weapon currently available to law enforcement personnel. Although there are cheaper batons that are produced in Taiwan, Korea, Japan and India; be warned that none of these meet the specifications established by major Federal Law Enforcement and military organizations. Before purchasing a baton you need to make sure it is legal in your state. An internet search regarding baton laws or a call to your local Police Department can save you the trouble of sending it back. ASP was founded in 1976 and has become the most dominant intermediate force manufacturer in the Law Enforcement Industry. 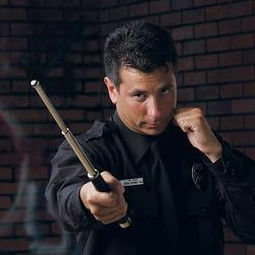 They have the most widely used Baton and Handcuff training in the world. The name ASP has become synonymous with quality and dependability. The ASP Baton is the foundation of the ASP Product line and truly depicts the innovative design and exceptional workmanship of ASP products. 1. Friction Loc– This is the standard baton produced by ASP. It has the fewest moving parts and expands with a sharp snap of your wrist and closes by bringing the tip straight down on a hard surface such as concrete or asphalt. It is available in 4 different models and 3 grip styles. 2. 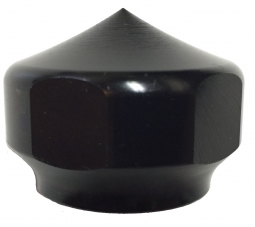 Disc Loc- Push button to close functionality. To close the talon baton you depress the button at the base of the handle and push the tip against any surface. Closing the baton is easily done with only one hand! 4. 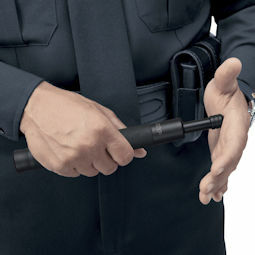 Agent– The compact version of the Talon Disc loc baton. Smaller in diameter and lightweight makes them compact and concealable. 5. Sentry– A friction loc baton that uses 4030 steel instead of 4140. This makes it a moderately priced alternative to the standard friction locs. The Sentry has the Santoprene grip with a Strike Force design molded into it. Foam Vinyl– This is the softest and most comfortable of the grips. It may require replacement after a few years of Law Enforcement use. Santoprene Duratec– Harder rubber type grip that is extremely durable. 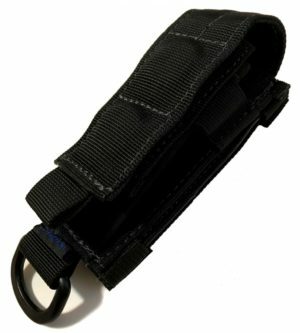 Wavemaster– This is simply the Santoprene grip with a Wavemaster design molded in for extra retention.